To table a motion of no confidence or not to table one, that is the question for Labour right now. This dominated chat in the lobby yesterday, as the answer changed from moment to moment. I wrote up a more detailed account of what happened in the afternoon, which you can read here, but I’ll try to summarise. 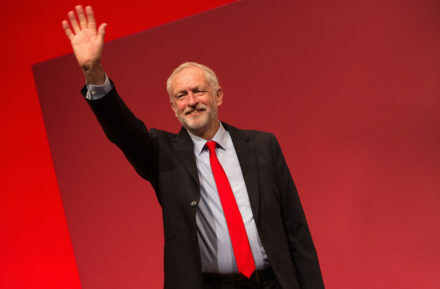 First, Labour briefed that Jeremy Corbyn would announce in his response to Theresa May’s Brexit statement that unless she confirmed the date of the delayed meaningful vote, he would table a motion of no confidence in her as Prime Minister. This is simply a censure motion, which aims to embarrass. Then May delivered her statement and revealed that the vote will take place on the week commencing 14th January. This is basically the same as saying before the 21st, which she had already promised, but Corbyn took this as a date confirmation and withdrew his threat. Confusion arose. Didn’t the Labour leader receive an advanced copy of her statement, with a date included? He did, though apparently the leader’s office had already briefed the decision to the press by that point. Anyway, Labour claimed victory in forcing the date reveal. Later, when most of us in the lobby had left the press gallery, Corbyn changed his mind and told the Speaker he’d be tabling a confidence motion. May immediately walked out the chamber – not a good look. However, there are no ‘opposition days’ (when Labour sets the agenda) in the Commons this week. The PM would therefore have to allow parliamentary time for the motion. A Labour spokesperson said last night: “If she refuses, it is clear that she does not believe she retains the confidence of this House.” Indeed, the government has rebuffed the request, but No10 instead challenged Labour to lay down a meaningful confidence vote – i.e. one in the government, which could lead to a general election under the Fixed Term Parliaments Act, rather than in the Prime Minister. It’s now a (small) battle of spin: Labour says May is running scared; the Tories say Corbyn knows he’d lose. Both are probably right (and Labour accepts the latter). The DUP and the ERG confirmed they wouldn’t support Labour’s motion yesterday, and it looks like none of them would chance sparking an election by backing Labour in a VONC in the government. Ultimately, Labour’s problem is that the DUP MPs are furious about the backstop and eager to vote down May’s deal, but say they won’t pull support from the government unless the deal passes. The DUP plans to keep applying pressure while risking ‘no deal’. Plus, Downing Street thinks Tory Brexiteers are warming slightly to the deal (see Jacob Rees-Mogg’s bizzare U-turn) and will thaw over Christmas too. At cabinet this morning, the PM expects to get approval for ramping up ‘no deal’ preparations. Funnily enough, if May’s ‘no deal’ threats work and the deal passes, that could be Labour’s best chance of getting into power.